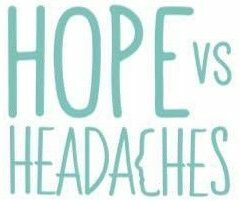 2 Comments on The Most Simple Migraine Diet That Will Change Your Life! Isn’t the world of nutrition super confusing sometimes, especially as a migraine sufferer. What to eat for the best? Before becoming a Health Coach I had tried everything in order to get rid of my migraines diet wise. I jumped on the paleo train for a while, then went low carb, high protein and so many more until eventually I discovered a plant-based diet, which turned out to be the answer to all my prayers. Now, this is the interesting part, by switching to a whole food plant-based diet it meant that I eliminated all dairy, meat, poultry, fish and eggs but the most crucial, ALL PROCESSED FOODS! Yes, simply put, I replaced any form of processed anything with a huge amount of fruits and vegetables. Now 6 months completely migraine free and after experimenting with introducing some animal products back into my diet, I had a major revelation. As much as I promote the benefits a whole food plant-based diet 110%, I realised that when I introduced good quality animal products back into my diet my migraines still stayed away. So why was this? Simply due to EATING CLEAN! I realized that the bottom line was that you could be a vegan, vegetarian, pescatarian or even an all round meat eater if you like and still be able to eliminate your migraines through nutrition but that eating clean was the key! As a result, I wanted to share with you 5 steps to take you from pain to freedom through eating clean. Right, here we go. It doesn’t matter if it is some processed deli meats, vegetarian sausages or vegan cheese, it is all a form of processed food. These foods are packed with artificial flavors, genetically modified soy products, preservatives, colorings, unhealthy fats, tyramine and sulfites, all of which will increase inflammation in the body thus producing a migraine cocktail you want to avoid at all costs. It’s time to go back to basics and eat real food again, none of these ‘food like’ products that line our shelves. As Jamie Oliver says ” Real food doesn’t have ingredients, real food IS ingredients”. I challenge you to purchase your one ingredient items and make your food from them. This is essentially what clean eating is all about! Real, simple and pure. I promise you that by avoiding those so-called healthy crackers, snack bars and veggie crisps you will be reducing your migraine potential 10 fold. When you adopt this approach I encourage you to stay true to your personal preference in terms of being a vegan or a meat eater etc, however the rule I ask you to live by is that plants HAVE to be your staple. As a nation, we are so used to letting a slab of meat take up the whole vicinity of our plate, with our veggies an afterthought but in actual fact, we benefit hugely when this is the other way around. Remember friends, plants are the healers! Now one thing I have learned is that quality counts. I know it’s not nice to hear, but so many meat, poultry and animal products nowadays are packed with hormones, antibiotics and are fed genetically modified feed. So in order to eat clean and avoid anything that could aggravate our migraines further I recommend investing in quality produce. Aim for organic, grass-fed, hormone and antibiotic free produce, ideally sourcing your food from your local butcher or fishmonger ensuring the best quality. Ok so now we have gathered how to eat clean, we still have to be mindful and avoid the usual migraine triggers such as red wine, cheese, chocolate, citrus fruits, nuts, caffeine, yeast and gluten products, you get the picture. Obviously, not all will apply to you but avoid the ones that do. So there we have it. Stick to these guidelines and I promise you that you will without a doubt, see a reduction in the frequency of your migraines, it’s that simple. After personally going from chronic migraines to completely 6 months migraine free I can vouch that this changed my life and it will yours too. Thanks for today’s blog. I’ve been driving my self insane with what to do next regarding diet. After reading this I thought about how much processed food I eat under the guise of eating healthy. What you wrote makes so much sense. I was looking into keto and similar diets for my next battle to attack migraines. I think need assistance in the form of a nutrition coach. Wish you lived closer ! !